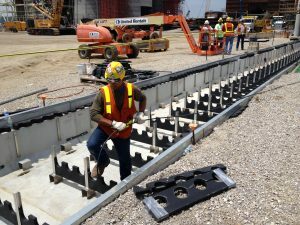 Requirement:A major Kansas power company required 8 ft wide Trenwa concrete trench to contain their large high capacity power cables. 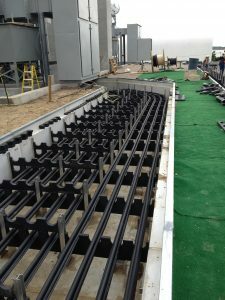 They also needed power blocks to separate the cables for heat dissipation. Solution: Trenwa provided our 96″ wide by 24″ deep XL concrete trench. 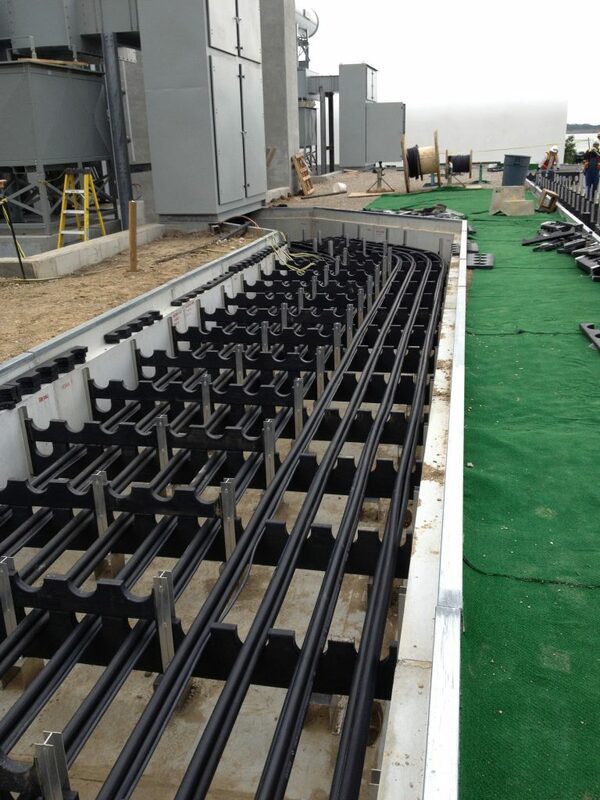 These were outfitted with custom power blocks made of HDPE planks and mounted on custom aluminum stanchions. 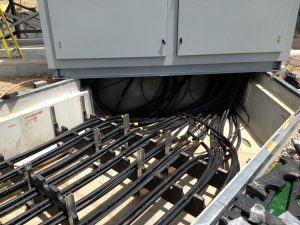 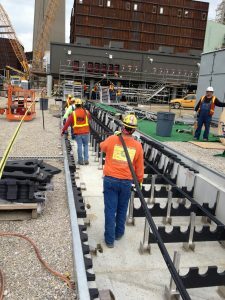 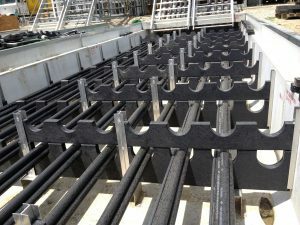 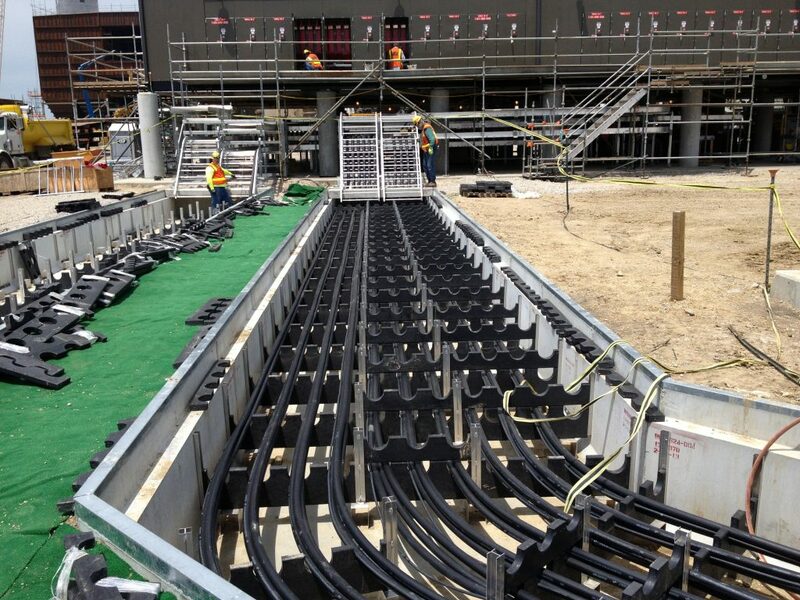 The stanchions in the concrete trench created separation between cables for heat dissipation and reduced the possibility of cable-to-cable arcing. 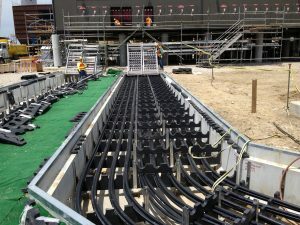 The wide layout of the concrete trench provided an open area in the floor for easy access and laying of the cables.